On the 23rd March 1854, a military unit known as the Royal D'urban Rangers was established. This Unit, consisting of 8 Officers and 40 other ranks, was raised for the defence of D'urban and outlying settlements. Capt James Proudfoot was appointed the first Commanding Officer. Other Units were formed to provide a military presence, and included the Victoria Mounted Rifles and the Durban Mounted Rifles. In 1888 these small coastal Units were amalgamated into one Regiment, the Natal Mounted Rifles. The Units amalgamated were the Victoria Mounted Rifles, the Alexandria Mounted Rifles, the Durban Mounted Rifles, the Umzimkulu Mounted Rifles and the Isipingo Mounted Rifles. In 1913 the Border Mounted Rifles joined the NMR to form the 3rd Mounted Rifles (Natal Mounted Rifles). The BMR crest of the Boot, and the motto "Rough but Ready", were adopted as the new crest and motto of the 3rd Mounted Rifles (NMR). The first Officer Commanding, Natal Mounted Rifles, was Capt Friend Addison (1888-1896). The Regiment was involved in the Anglo-Zulu War fighting engagements at Nyezane on 22 January 1879, the same day as the battle of Isandlwana, and later in the Ango-Boer war with the opening engagements at Elandslaagte on 21 October 1899. 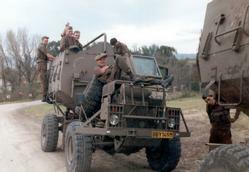 Elements of the NMR were in Ladysmith during the Siege, and in the relief column that raised the Siege. World War 1 saw the Natal Mounted Rifles serving in German South West Africa as the 3rd Mounted Rifles (NMR). The NMR also saw service in other theatres of War through the involvement of serviceman in other Units and formations - for example in the South African Brigade at Delville Wood. In 1932 the name NMR was re-instated, and on 1st July 1934 the NMR was officially "dismounted" and began training on the Maxim and then the Vickers machine guns. 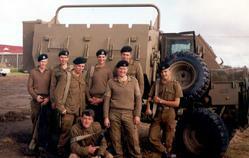 In 1936 the NMR became a mechanised Unit, and in the same year affiliated to the 3rd Kings Own Hussars (raised in 1685). This affiliation still exists with the Queens Royal Hussars who succeeded the King's Own Hussars. It is through this affiliation that many of the NMR's cavalry traditions are still in evidence. The NMR prepared for World War 2 in camps at Oribi in May 1940. 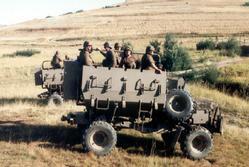 Further training, as part of 9 Brigade, took place at Louis Trichardt. On the 14th October 1940, the NMR embarked on board the Llangibby Castle for Mombassa, arriving there on the 21st October. They entrained here for Gilgil in Kenya, to meet up with their transport that had come overland. From Gilgil, the NMR advanced towards Abyssinia, and on the 16-18 January1941 successfully fought its first engagement at El Yibo. 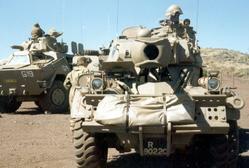 The Regiment went on to the Western Desert where it was equipped with Stewart and Sherman tanks. The Regiment fought at El Alamein, Gazala, Dadaba, Bir Temrad, ultimately moving on to Italy to fight in the Italian Campaign. It was in Italy that the NMR saw the cessation of hostilities. 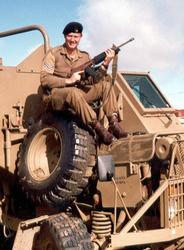 The post World War 2 period saw the NMR engaged in peacetime training and exercises involving armour. 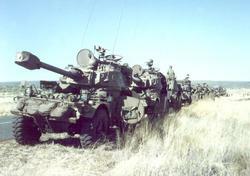 The SA Army Armoured Corps developed it equipment and doctrine based on World War 2 experience and the new post World War 2 technologies that were emerging. 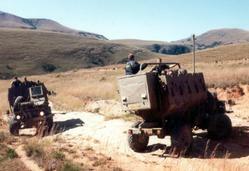 The NMR saw duty in South West Africa during the Border conflict. The Regimental strength was buoyed by the regular intakes of national Servicemen during this period, and in 1992 when conscription was terminated, that the present volunteer system of recruitment came into being. This volunteer system has had the effect of broadening the base of recruitment into the Regiment. 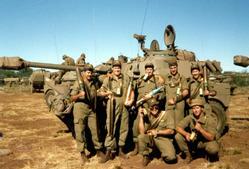 The NMR is currently one of the Reserve Force Tank Regiments in the SANDF.